The title of this post might be the longest title of any post on this site, but it pretty much sums up the above picture. Sometimes kids with allergies and food issues, just want to be normal, or at least as normal as they can be. If a box of over priced, semi good, copy cat toaster pastries does that, than I am all for buying an occasional box of them. Which is why I decided to toss these in my shopping cart last time I was at Whole Foods. The excitement from my girls when they saw these was worth every penny I spent on this spur of the moment purchase. When you deal with food allergies you can’t let your guard down, but there are still ways to be an occasional yes mom. Just keeping it real for you all. What fun allergy friendly treat have you bought lately? 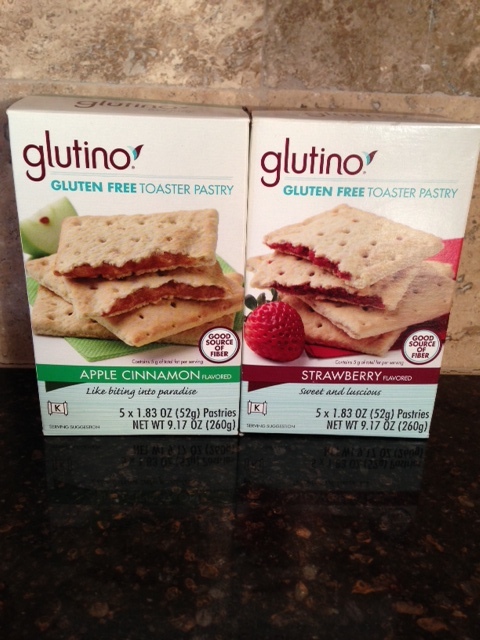 Glutino makes a great pretzel also…….